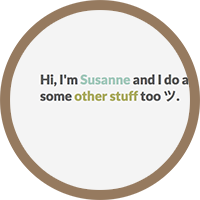 Hi, I'm Susanne and I do a bit of web programming. And some other stuff too ツ. 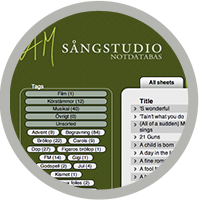 A database for entering the sheet music owned by AM Sångstudio in Halmstad. It's possible to e.g. tag sheets in order to simplify searches. The page is only av­ailable to students at AM Sångstudio. Admin users can, among other things, add, edit and remove posts and users, backup the data­base, and much more. Only available to AM Sångstudio. This page is simply a list where I enter all the books I read. There's a back-end GUI for adding, editing and removing posts. There is also an RSS-feed. 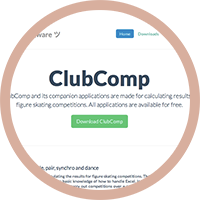 A basic website for ClubComp, a piece of soft­ware used at figure skating comp­etitions in Sweden (and despite the name I have no part in the dev­elopment of the soft­ware, just the website). 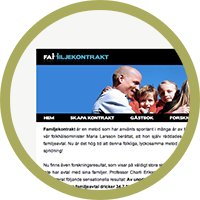 As a project in the second year of by bachelor education in 2010 I co-developed the webpage Familjekontrakt (Family Contract) for the non-profit organi­sation SMART. The site has, aside from the publicly available pages, also an extensive admin system where pretty much the entire content can be edited. Of course I've built my own port­folio which so far has gone through two regenerations. See more and buy some of my photos at mostphotos. Taken on a misty morning, when everything was grey and slightly spooky. I like what a nice, thick mist does for a photo. A tiny bee working on top of a colourful coneflower. On a spring day, before the beach became too crowded by tourists, this man decided to take a walk along it. One of many, this christmas light sat up in a tree. It seemed lonely, so I took a photo of it. A single buttercup. I like how the other buttercups are so blurry they almost become transparent. Why would I ever need pearls when I can have these? The fence around the Shakespeare Garden in Central Park. 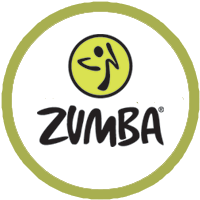 Since June 2014 I'm a certified Zumba Fitness® instructor. Find me and join the party! 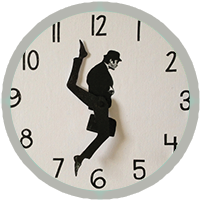 In 2012 I made a clock inspired by Monthy Python's Ministry of Silly Walks sketch. I posted in on tumblr, and only a short time later over 7,000 people have reblogged it, and it has been featured on the Huffington Post and ICanHasCheezburger, among others. Due to the popularity of the clock, and the amount of e-mails I was receiving, I wrote a very detailed tutorial on how to make it, along with a FAQ and photos of other people's clocks. Writing has been a significant part of my life for over a decade. 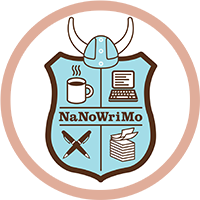 Every year since 2009 I partic­ipate in NaNoWriMo, so far with three success­ful results. I have written four fict­ional novels - however, still simply first drafts - and an innum­erable number of short stories. I write mainly in English. In 2004 I was a monthly winner in Färdlektyr's short story competition with my short story Rikast i världen (The Richest in the World). My master thesis from 2013. 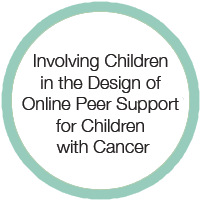 I look at how children can participate in the design of a digital peer support service (Online Peer Support). 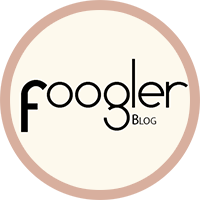 I have a blog where I write in English about every­thing from fiction and essay writing, to reading and grammar. Unfortunately not updated much lately. An animated film made in Adobe Flash. I created every­thing except the music. 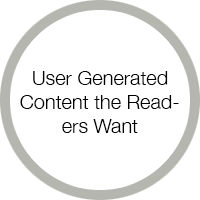 User Generated Content Readers Want: A Study Among Readers of Online Newspapers. My bachelor thesis in informatics from 2011. Filip Holm and I conducted a web based diary study in order to look into what affects what kind of UGC readers prefer in online news­papers. The thesis was chosen as the best thesis in infor­matics at Halmstad University 2011. 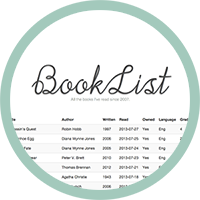 A blog made using PHP and MySQL, with the possibility to edit and tag posts Each author can remove and edit their own posts but not posts by other authors. 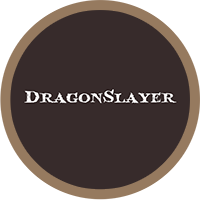 There is also an RSS-feed for the posts. Built using a page-controller model. 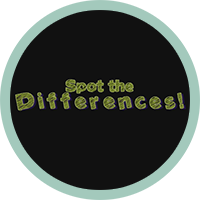 A flash game where you have to find five diff­erences between each image. I made every­thing: code, sound effects and music, graphics, and photos. 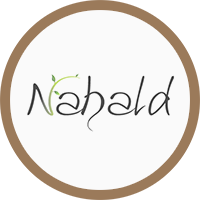 Dev­eloped using Adobe Flash Builder with ActionScript 3.0. The game is in Swedish. 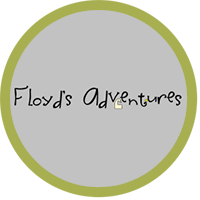 A slightly humoristic adventure game made with PHP and MySQL. 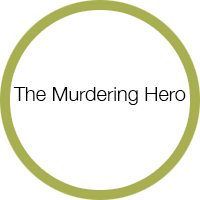 The Murdering Hero - A Study of Heroism in Orson Scott Card's Ender's Game. My bachelor thesis in English literature from 2007, in which I problem­atise the murderer/­hero di­chotomy in the novel Ender's Game by Orson Scott Card. Find me, if you want. Contact me, if you want.